For about the first 60 years of its existence, the east end of the eastern segment of US 422 was at various points around Philadelphia. 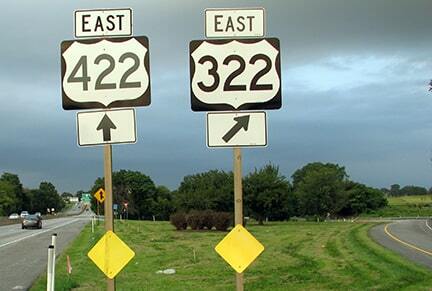 From 1927 to 1932, US 422 made it only as far west as Reading. 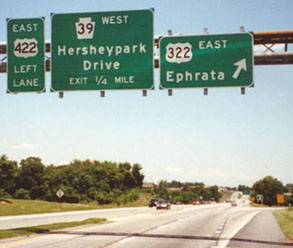 But by 1932, US 422 was extended to an endpoint in Harrisburg. More photos of US 422's current and historic endpoints can be viewed on this page on m-plex.com. Research and/or photo credits: David Backlin; Chris Elbert; Jeff Kitsko; Alex Nitzman; Dale Sanderson; "xirtam"
last updated Oct. 9, 2018.